Although its design is sure to impress many onlookers, especially when it’s one thin and light tablet, the Samsung Galaxy Tab 10.1 still packs a wallop thanks to its contemporary 1GHz dual-core NVIDIA Tegra 2 processor. Already in use by a variety of other models, we’ve seen how it’s able to offer people a rich, responsive, and rapid Honeycomb experience with some of the competition – mainly the Motorola XOOM, T-Mobile G-Slate, Acer ICONIA TAB A500, and Asus EeePad Transformer. Of course, seeing that this is the newest kid on the block, it’s only fitting for us to run a couple of standard benchmark tests to get a feel for the kind of figures it’ll be able to achieve. 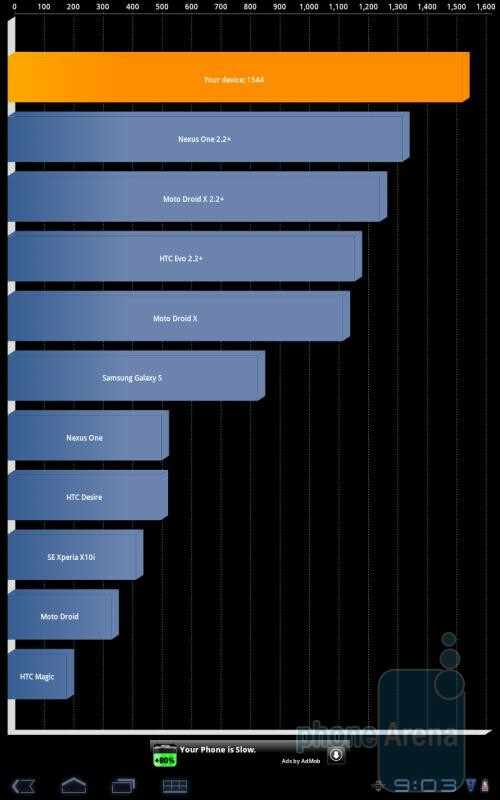 With the prototype unit of the Samsung Galaxy Tab 10.1 that we’ve been checking out, it’s able to get an average Quadrant score of 2,000, which is pretty good for a tablet with this chipset. 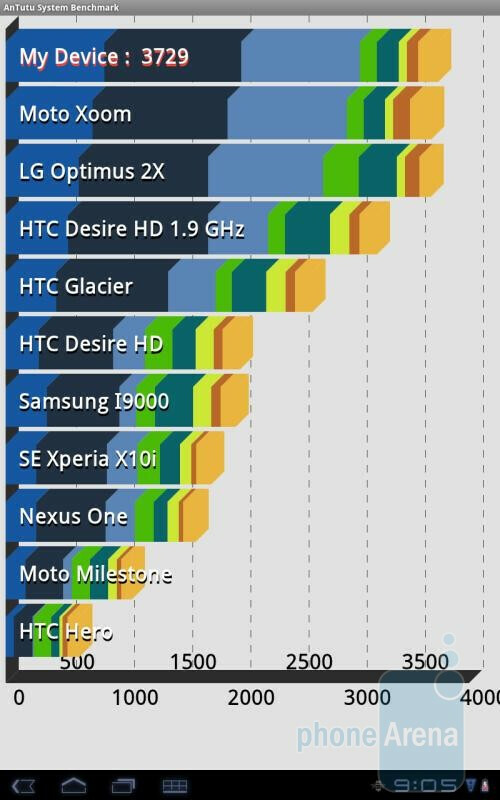 However, we’re rather perplexed to find average Quadrant scores of 1,550 with this actual retail version – even more when it’s running the same stock Honeycomb experience with no TouchWiz UI on-board. Still, it’s a respectable score, but not enough to really stand out from the bunch. 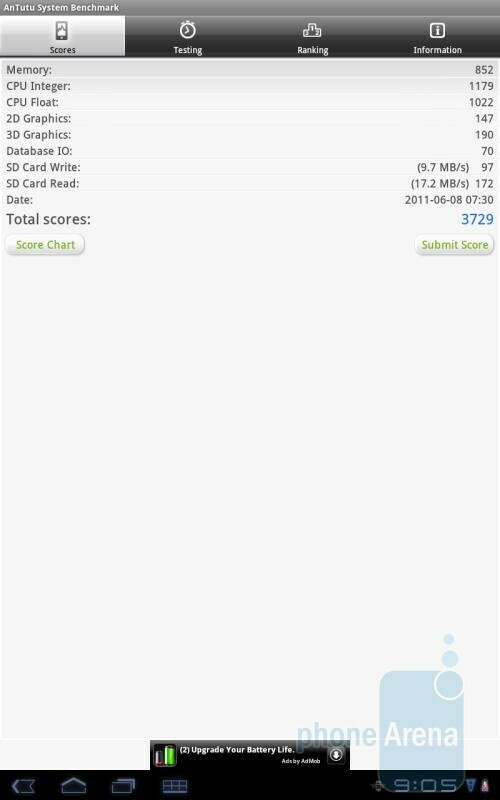 Conversely, we’re utterly surprised to find it giving us a total score of 3,729 with the AnTutu Becnhmark app. 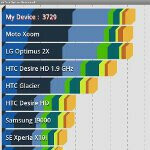 With that mark, it actually edges out rival devices like the Motorola XOOM and LG Optimus 2x – both of which feature the same chipset. Regardless of the scores, we’re satisfied so far with the tablet’s actual performance since it exhibits some responsive tendencies with most operations. Ultimately, it’s going to come down to the user experience to really gauge how well a tablet will perform. GB is available for the G2X via commitments. If you haven't already, you should check it out.